These two guys took an age-old Christmas tradition and put their own spin on it - by dressing up in creative and hilarious costumes. The last pic in the list contains a cute little surprise! Phuc Dat is having one Bich of a day. 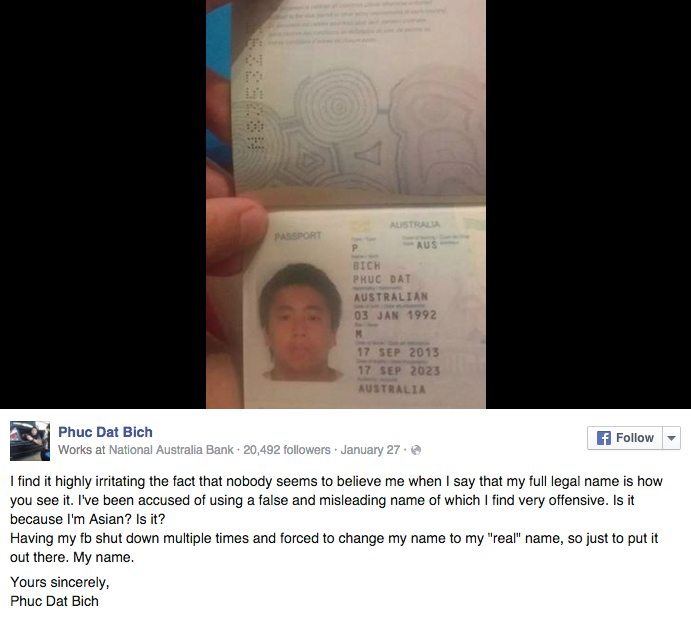 A Facebook post by a man named Phuc Dat Bich (pronounced "Phoo Da Bic") is picking up steam. He says his Facebook page has been shut down several times by Facebook because the social media site thinks he has a fake name. And because it sounds like, well, you know—some curse words. The post was created back in January, but it's getting more recent attention since an Australian newspaper got wind of it. Long story short, his name is Phuc Dat Bich. TOKEN ASIAN GIRL doing it right. A+++ Service! Would Buy Again!